Contemporary Lever Radiator Valves - Only £17.99! In stock now for just £17.99 including VAT! Hurry while stocks last! 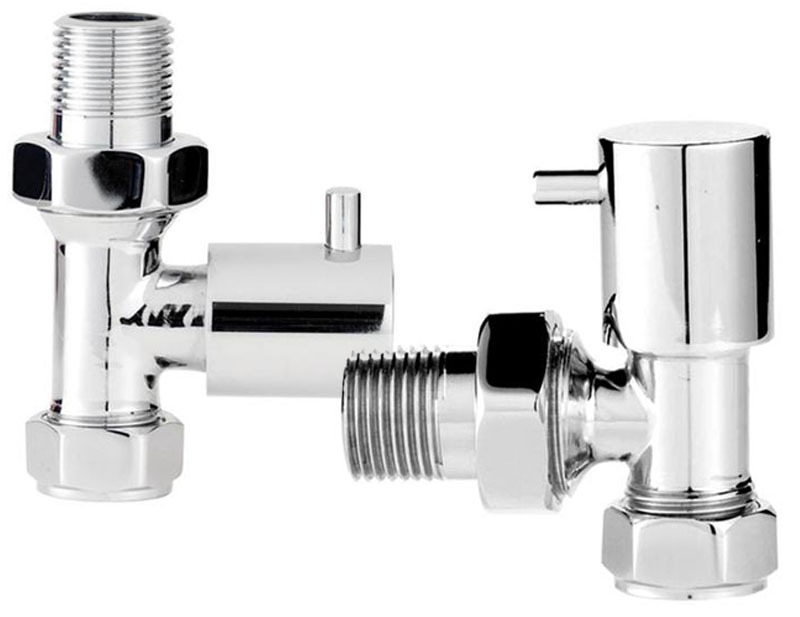 These excellent pairs of radiator valves are available in a choice of either Angled (for wall mounted radiators) or Straight (for floor mounted radiators). Both are of equally high quality and both are available at the same great value price of just £17.99 including VAT. When ordering, please specify your preference from the drop-down menu near the bottom of this page. These Contemporary Lever Radiator Valves are available in a choice of either Angled or Straight. (Please select from drop-down menu below).